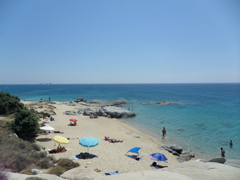 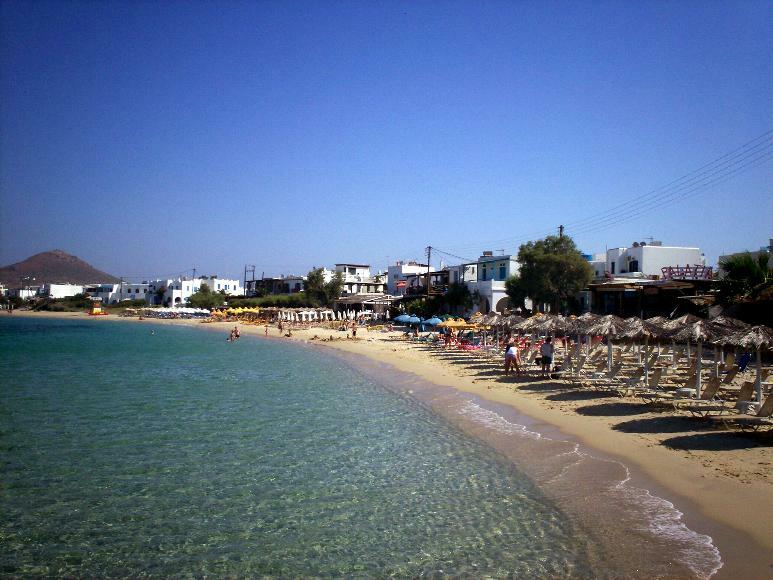 The beach of Agia Anna, a continuation of Agios Prokopios beach, is one of the most famous and beautiful places in Naxos island. 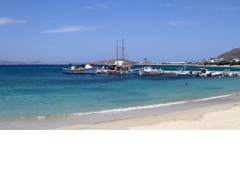 A picturesque little port with fishing boats lies towards the end of the beach. 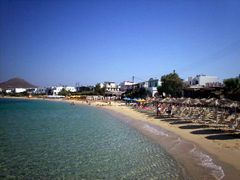 Sun umbrellas and sun beds, set up in front of cafeterias, bars and taverns, are to be found along the greater part of the beach. However, the segment by the chapel of Agios Nikolaos is dotted with windless little bays that are ideal for those looking for peace and relaxation. 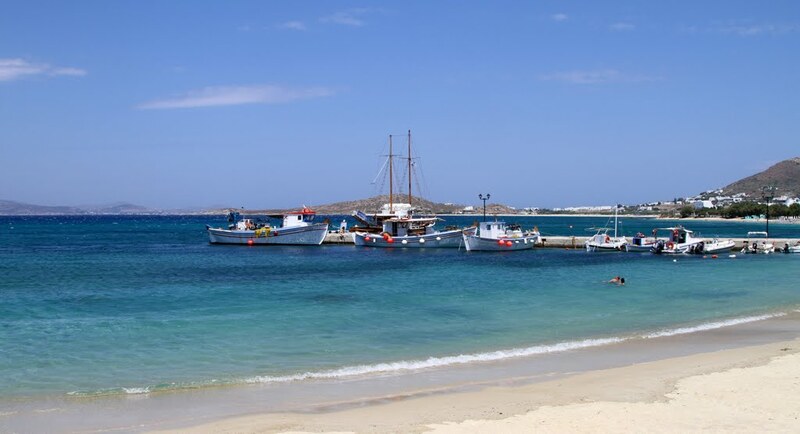 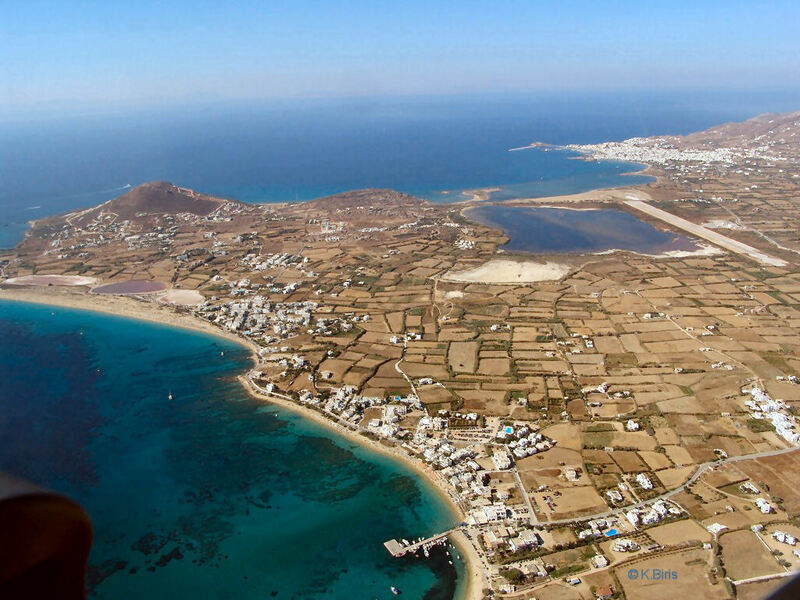 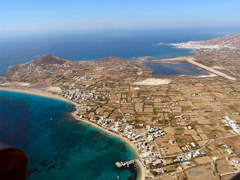 There is a regular bus service from Naxos town to both Agia Anna and Agios Prokopios with buses running from early morning until late at night.